Tony and Kellie Gualazzi got rid of their Cedar siding and replaced it with Mastic Quest Blend in Natural Cedar Siding. 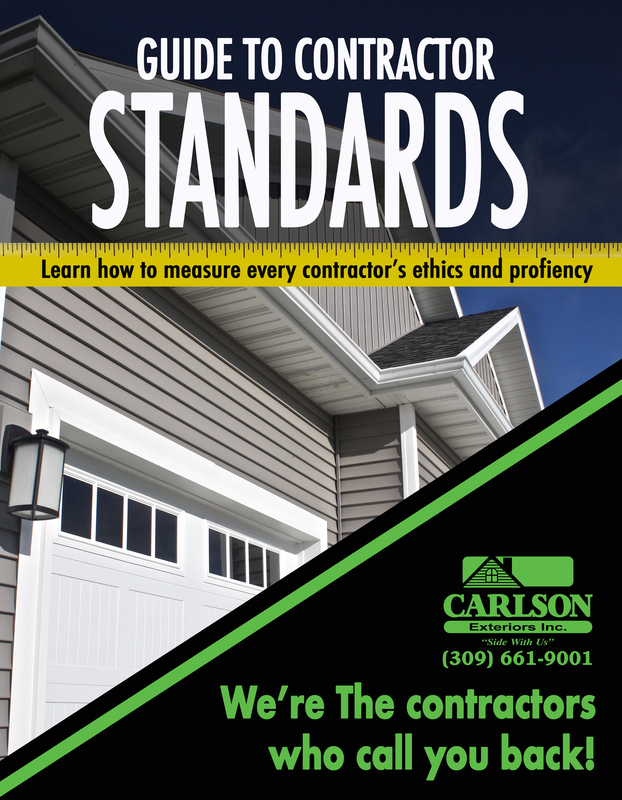 Our partnership with Carlson Exteriors actually began at year-end 2015. Late last fall, our chimney began leaking into our recently finished three seasons room. Two different contractors attempted to patch the problem with the hope of getting us through the winter, but neither was successful. At Christmastime, we had extremely strong winds and driving rain in the Bloomington-Normal area causing our leak to become very noticeable and extremely challenging to manage. At that time, a local builder recommended Carlson Exteriors to us. When we visited the Carlson website to learn more about the company, we were amazed by the number of friends and colleagues who had provided feedback on their excellent experiences with the various Carlson teams. As a result, we contacted Carlson Exteriors without hesitation and received a return call from Chris (project manager). 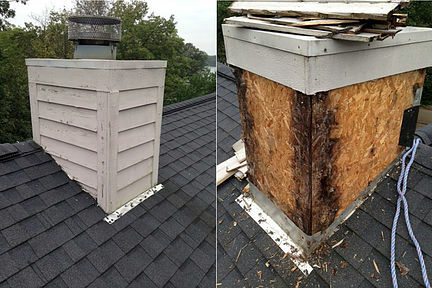 Chris scheduled an appointment to assess the situation with our chimney and provide us with an estimate. He assured us the Carlson team would be able to help. Once Chris assessed our chimney situation, he then sent Johnney and his team to install a weather barrier to protect our home throughout the winter. Johnney approached the job before him with integrity, professionalism, and an exceptional level of customer service. We were also deeply grateful for the pride Johnney took in his work. Johnney did such an outstanding job of applying the weather barrier that we didn’t have a single drop of moisture in our three seasons room all winter long in spite of the snow, freezing rain, unusually strong winds (45 – 60 mph), and driving rain we experienced. This alone speaks volumes about the quality of the Carlson team’s work, their attention to detail, and their sincere desire to truly help people in need. Successfully applying the weather barrier allowed us time to research various products to consider when having the chimney rebuilt in the spring. We focused primarily on various maintenance-free products, and we met with Chris on multiple occasions to gather his feedback and input. Chris was extremely knowledgeable and was there for us at every turn. He also warmly welcomed our questions, and we definitely had a lot of them! There’s an old saying, “You never get a second chance to make a first impression.” The positive impression Chris made from the onset, combined with the quality of the team’s work when protecting our home for the winter, helped us to know Carlson Exteriors would be our choice for the maintenance-free siding, soffits, fascia, gutters, and chimney rebuild in the spring. In the spring of 2016, the Carlson team, led by Jason , first removed our cedar siding and wrapped our home in Tyvek. Jason and his team then began installing our new maintenance-free Mastic Quest premium vinyl siding as well as our soffits, fascia, and aluminum trim. Jason and his team also completely, and very successfully, rebuilt our chimney and ensured the proper flashing was installed as well. Brad and his team installed our new gutters, and then Brian and his team completed the installation of our aluminum trim, installed our storm doors, and addressed our punch list-related items. Without fail, each team exhibited a solid, sincere customer focus, a high degree of attention to detail, a true sense of pride in their work, and an impressive level of skill and expertise. We can’t possibly sing their praises highly enough. They have completely transformed the exterior of our home, and we are thrilled! When first visiting the Carlson website, the following four promises resonated with us and piqued our curiosity. Prior to partnering with the Carlson teams, we were a bit skeptical, as we wondered if these promises merely look good on the company’s website or whether they really do mean something to the teams. At this point, we’ll gladly attest to the fact these promises are honored. They are true guiding principles for the company and the way they operate on a daily basis. We promise to always protect your home. We promise to make your priorities our priorities. We promise to give you peace of mind. We promise to be there for you. In this day and age, it’s often very challenging to find people who take pride in their work and pay close attention to detail. In addition, many contractors would suggest some of our punch list items were minor or trivial in nature and didn’t really need to be addressed. However, we’re of the impression it’s often the “little things” that add up to make the most significant difference in the overall quality of the end product. As a result, you can imagine what a breath of fresh air it was for us to consistently see these qualities across the various Carlson teams with whom we collaborated. “It’s the Carlson way!” they’d exclaim with a smile. Bottom line, the Carlson teams never let us down. They were consistently among the most professional, courteous, and highly skilled contractors we’ve met. Their customer-centric approach combined with their integrity, attention to detail, professionalism, and competence will continue to serve them well as a company. We will continue to highly recommend Carlson Exteriors, and we sincerely thank the many teams who transformed our home for a job extremely well done.